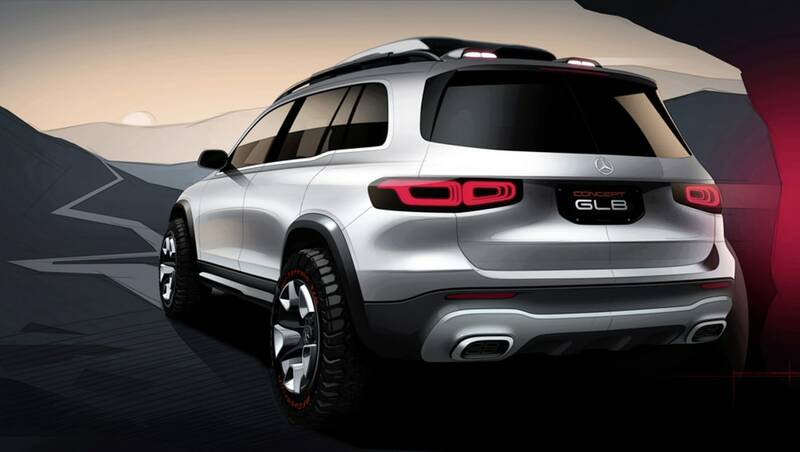 The Concept GLB’s debut at this year’s Shanghai show follows the appearance of the Concept GLA at the same event in 2013. 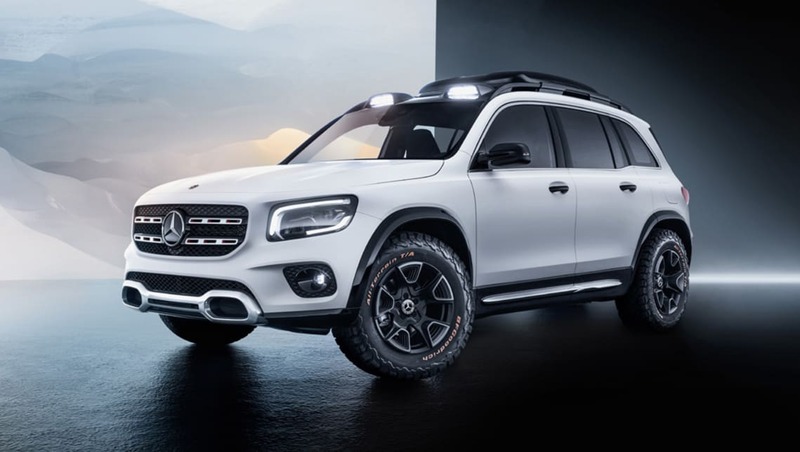 Mercedes-Benz has chosen this year’s Shanghai motor show (April 18-25, 2019) to reveal a concept version of its upcoming GLB compact SUV. As its name implies, the GLB is aimed at the space between the compact GLA and small GLC, pitched as a “spacious and robust” seven-seater, sitting on the same platform as its coupe-style GLA sibling. At just over 4.6m long, close to 1.9m wide and 1.9m high the GLB is relatively small for a seven-seat vehicle, but it’s more upright design and long wheelbase prioritise space-efficiency over sporty looks. 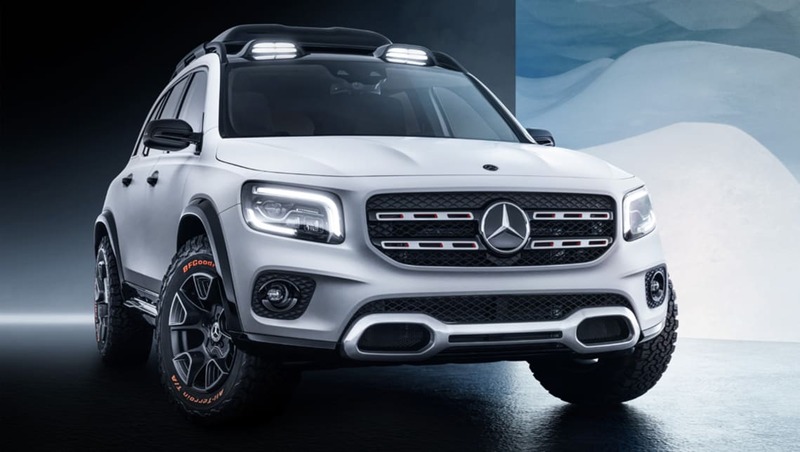 Powered by a 165kW/350Nm (M260) four-cylinder turbo-petrol engine, with drive going to all four wheels via an eight-speed dual-clutch auto transmission and Benz’s ‘4Matic’ system, the Concept GLB is finished in ‘designo cashmere white magno’ with wheel claddings and an integrated roof box in contrast high-gloss black. Other elements unlikely to feature on the production model are the show car’s chrome front underguard, roof frame-mounted LED spotlights, and chunky off-road tyres mounted on 17-inch ‘bicolour’ rims. At just over 4.6m long, close to 1.9m wide and 1.9m high the GLB is relatively small for a seven-seat vehicle. The Concept GLB is finished in ‘designo cashmere white magno’ with wheel claddings and an integrated roof box in contrast high-gloss black. Mercedes-Benz claims to have sold more than six million SUVs worldwide, with 820,000 units registered in 2018 alone. The close to production-ready interior will be familiar to most current model Mercedes-Benz owners, the fascia dominated by the brand’s broad twin-screen ‘MBUX’ instrument and multimedia display, with signature turbine-style air vents in the centre stack and either end of the dash. 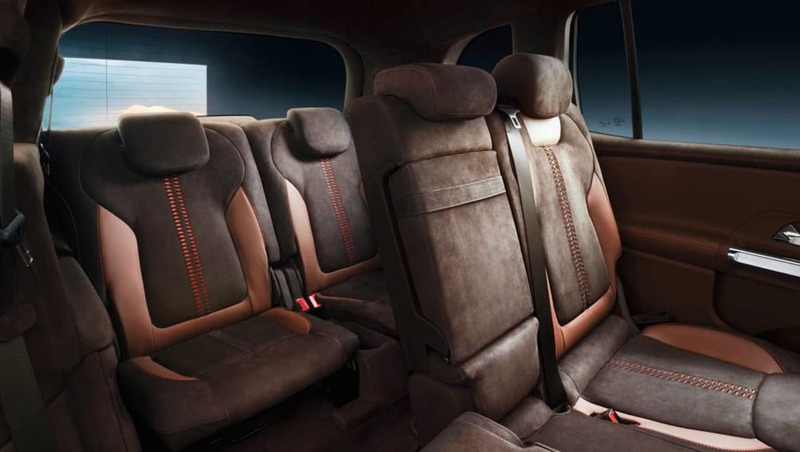 Not so production-ready are the cabin trim materials, including open-pored walnut on the dash and centre console (complete with chiselled honeycomb pattern) as well as special nappa and nubuck leathers combined with vibrant orange fabric. The resulting GLA was in local showrooms around 12 months later, so although Mercedes-Benz Australia says “at this stage we are unable to provide local comment about any possible future production vehicles” expect the GLA to launch here in early 2020. Mercedes-Benz claims to have sold more than six million SUVs worldwide, with 820,000 units registered in 2018 alone, making it the brand’s largest segment. Could the Merc GLB fill a compact SUV niche in your life? Tell us what you think in the comments below.